Also referred to as a "Baltimore Jersey" pattern, the Council Tool Jersey Pattern Single Bit Axe w/ Hickory Handle is shaped with lugs or ears to increase surface contact area with the handle. The pattern is similar to earlier Kentucky and North Carolina patterns. 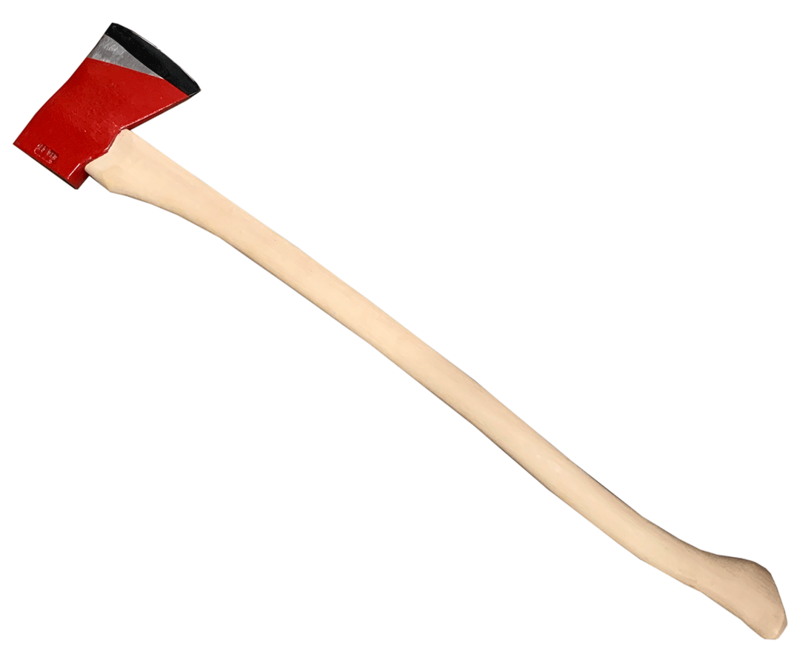 This is a full-sized felling axe which is perfect for all general axe chores. Made of a 3.5-pound steal head, hand sharpened and tapered bit single bit for cutting and splitting purposes. The head is hydraulically seated onto an option of 36-inch curved American hickory handle. It is secured with a jagged aluminum wedge. It also features 8-inch blade coated with red enamel while the 5-inch cutting edge has clear coating to prevent rust. In addition, the Council Tool Jersey Pattern Single Bit Axe w/ Hickory Handle is made in the USA and exceeds ANSI standards.